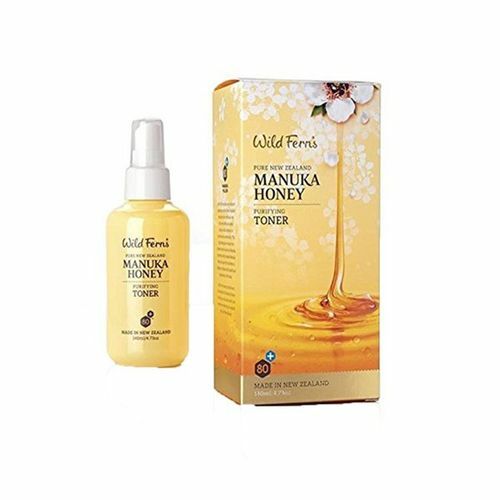 This alcohol free toner contains the beneficial qualities of premium certified Manuka Honey 80+ blended with Aloe Vera, Bilberry and Witch Hazel. This purifying toner thoroughly removes remaining traces of oil, makeup and dirt and prepares the skin to maximize the benefits of your moisturizer. These natural ingredients combine to stimulate the circulation, firm the elasticity of the pores and rejuvenate the skins cells. Manuka Honey helps eliminate impurities and assists in the healing of blemishes. Leaves the skin feeling fresh and revitalized.